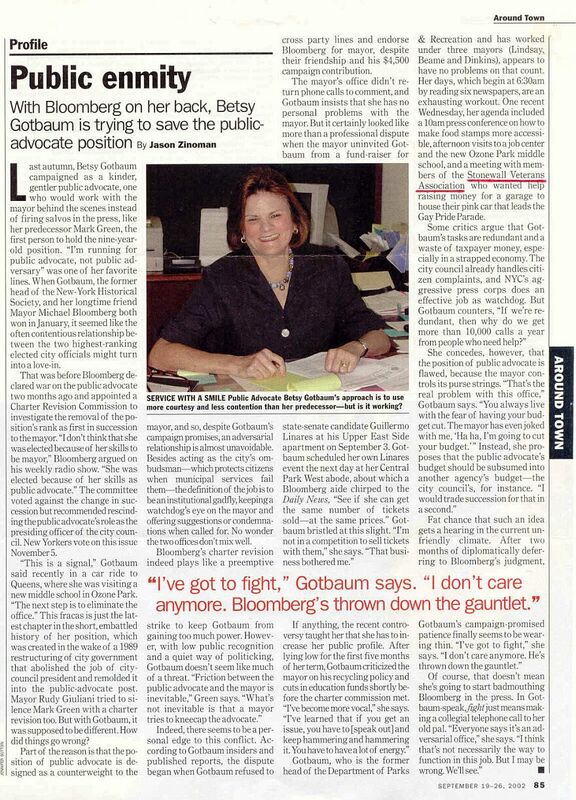 Time-Out Magazine Story on Betsy G including the S.V.A. 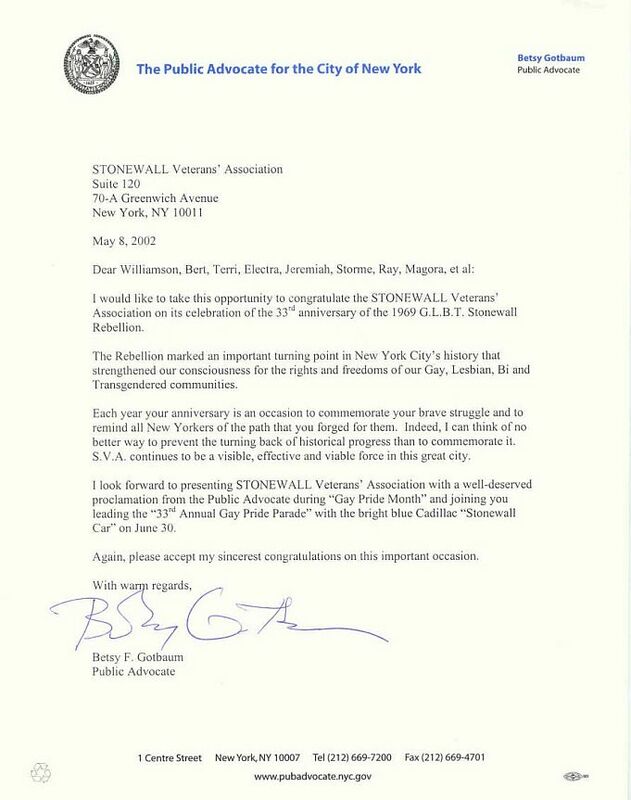 The article correctly states that the STONEWALL Veterans Association.meeting with the Public Advocate Betsy Gotbaum included S.V.A. sponsorship on the agenda; however. it incorrectly mentions the color of the "Stonewall Car" as pink! The Public Advocate respectfully asked the S.V.A. for permission to have the reporter present at the meeting. P.S. 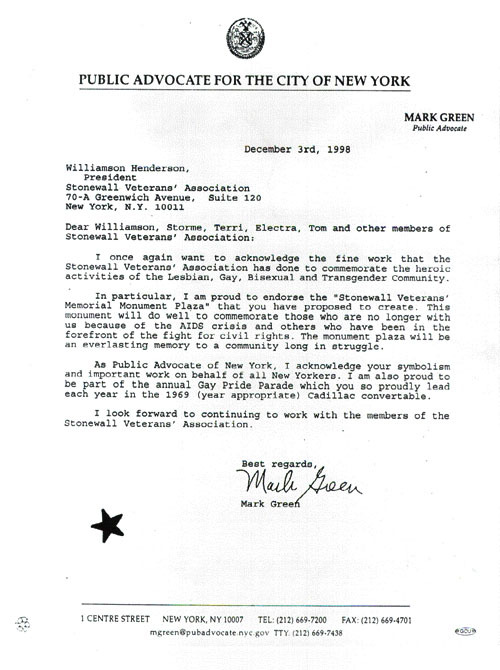 One of un-published letters to S.V.A. from Betsy's pre-decease-or Marc Gang-Green! Factoid: Gang-Green's haterz falsely claimed GG never sent SVA a letter! Duh! What a stupid and hateful claim on its surface. Such 'strategy' results in defeat!